Introducing a cleaner that has been developed to protect your investment and prolong the life of your grill. This grill grate cleaner has been designed to allow you to quickly and effectively clean your cooking grates. This 16 ounce cleaner is certified non-toxic and will not irritate skin. This grate grill cleaner also works great on both charcoal and gas grills. This formula is USDA-approved and surpasses international standards of biodegradability. Before using, make sure your cooking grates are cool. Then, liberally apply the cleaner to the surface. Remove with a sponge, towel or paper towel. Repeat as necessary. 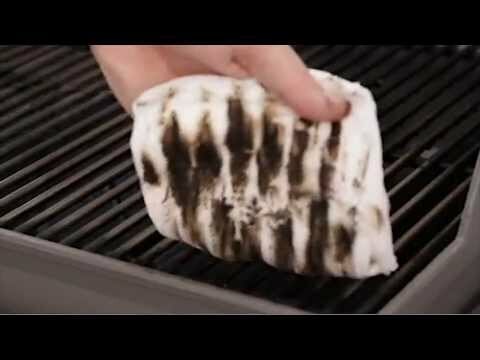 Stop wasting fuel to burn food debris off, try this Weber grill grate cleaner today.